Teresa Parrott, formerly trained as a doctor and psychiatrist, is a Reiki Master in the Usui-Tibetan System, gives a very clear explanation of what Reiki is, its uses, the training and the applications of self-treatment. 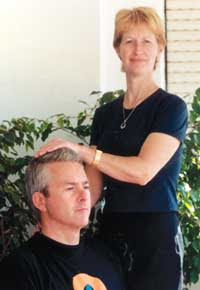 Reiki, an intelligent, non-directed energy, can be used for physical and emotional healing and for relaxation. It is personal to each individual and helps to uncover one's inner knowing and insight. It is the higher self/consciousness of an individual that draws the needed amount of energy and channels it to where it is needed. Not only can it be people, it can be given to animals, plants, food and water, and can be used in distant healing and sent to the past, present or future. It facilitates the body's natural capacity to cleanse, detoxify and heal itself.